The days of the boring Ubuntu releases are over. The release of Ubuntu 17.10 was going to be the final iteration to include the ousted Unity desktop interface. Instead of following the pattern Ubuntu has held since it attempted to bring convergence to the Linux desktop, Canonical is going to jettison its in-house desktop earlier than originally scheduled. The app is a versatile music player/manager for Windows, macOS and Linux. It has several advanced built-in features, including a file renamer, a music tagger, and an audio encoder. 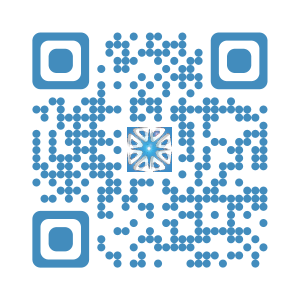 The latest release is Quod Libet 3.9. There’s a new desktop snap in the Snap store: Atom. Launched in 2014, Atom has been rapidly adopted by a large community and is considered one of the top language agnostic code editors. It offers a constantly growing library of 6 000+ addons for all purposes, from themes to IDE features. The Canonical and Ubuntu founder was interviewed there by theCUBE, who were very curious to know what the state of Ubuntu Linux was these days. Mark Shuttleworth answered that his dream was always for Ubuntu to go mainstream on desktop, cloud, and IoT, but things don’t always go the way we want them to. According to Shuttleworth, Ubuntu appears to be the de facto standard for cloud computing and data centers. Users finding bugs? Searching logs for errors? Find + fix broken code fast! While find is no doubt one of the most popular as well as powerful command line utilities for file searching in Linux, it not fast enough for situations where-in you need instantaneous results. What about the low-cost Tablet Market? Newcomers are not always the happiest guy…. This because not often there is not much room left by the first-comers that usually had the “good idea” and consequently became the market leaders. But sometimes things go differently. This is the case of low-cost tablet market where a big number of semi-unknown producers from Asia have been able to create good products at a very affordable price. If you google “tablet” and visit some specialised, B2C, websites you can find some interesting products. Obviously I’m not talking about the top of the production and you will not find any top level tablet but you could be interested to some of them if you consider their prices. The middle level market wasn’t considered interesting by big players till now. But the potential increase of demand in this segment has changed the scenario. Tablets are very common devices and today many of us could be interested to have a second or third device to avoid the matter of carrying our expensive, branded tablet everywhere. Personally I am not planning to buy a second “branded” tablet to increase my comfort when in remote places but I could really consider to buy a second, not the top, device if it is really cheap. I am sure it will be a little be slower and less performant than the one I use every day but what does it matter if its price will be just a fraction of my main tablet? For above marketing reasons Amazon is planning to sell a low-cost 50 USD tablet before the end of the year. On one end the attended success of this marketing strategy could be read as another way to chain its customers to the brand. On the other end low-cost tablets represent a real remunerative economic niche that worths a good slice of the market (and consequently a lot of money). In fact Ubuntu is actively working on a new generation of tablets that will run a native version of Linux. The tablet devices we are using today have enough power to smoothly run some of the main common Linux OS and overcome the main problems that were registered when some “primitive” Linux tablets were launched some years ago. 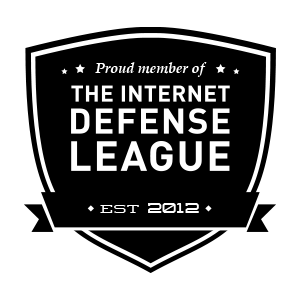 For this reason Linux enthusiasts like me hope in something new… and useful in the near future. Cross your fingers! This entry was posted in Computadoras, Computers & Internet, hardware, News, OS News, Tech, Technology, Technology and Software, Technology News, Tecnologia and tagged Amazon, Android, Linux, Linux Tips, News, OS News, Tablet, Technology, Technology News, Tecnologia, Ubuntu, Ubuntu tips on September 11, 2015 by Galigio. 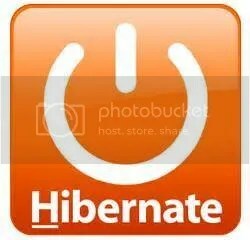 Since the Ubuntu 12.04 LTS the hibernate icon disappeared as possible option at the shutdown. It is not a big loss if you are not used to use (or overuse) it as I often do. Personally I think that the hibernate feature is really useful when you want to freeze your computer maintaining all the windows -and the work- you are working on at a precise moment. Ubuntu decided to “cut” this particular command from its GUI because it registered a remarkable number of problems caused by hardware conflicts in modern computers. If you use Ubuntu and you think that hibernate could till be useful for you (especially during busy working days), it is possible to insert again this specific feature as GUI on your Desktop. The computer will hibernate itself but you have to reboot it to understand if hibernate worked properly in your case. I hope (as it was for my PC) that all has gone well. In this case you can start to create the dedicated icon on your upper bar. Before of starting it’s necessary to understand that the hibernate command will use the SWAP partition to save your temporarily data. Usually it is recommended to have a SWAP partition with, at least, the double of space of your RAM. Now a blank gedit document, named enable-hibernate.pkla will appear on your screen. Save it and reboot your computer. A new icon will appear on the right corner of the upper bar. When you click on it, a Terminal window will appear asking for the system password. Type it and click on Return and your PC will immediately hibernate. This entry was posted in efficiency in Ubuntu, how to install Ubuntu, Linux, Linux OS, Linux Tips, Tech, Technology, Technology and Software, Tecnologia, tutorial, Ubuntu, Ubuntu command line and tagged Linux, Linux Tips, Technology, Technology and Software, Tecnologia, tips, tools, Ubuntu, Ubuntu tips on May 30, 2015 by Galigio.